Here at Mount Airy Toyota, 2019 has been the year of delivering more reliable, interesting, and fun vehicles than ever before. We are more than excited over the latest technology, delivery, and design of Toyota’s innovative vehicles. With many of these new releases on the lot, there has never been a better time to visit Mount Airy Toyota to check out and test-drive your future vehicle. Speaking of future vehicles, you might remember the dream sports car of the 80’s—but the wait is over. Toyota’s design efforts have all lead up to the long anticipated return of the 2020 Supra in the U.S. this year. Check out some of Toyota’s latest and greatest advances, and learn about how Toyota is changing the face of dealerships like our own Mount Airy Toyota dealership, as well as, the American motor economy. The Corolla is a reliable classic that comes in a sedan or hatchback, and has been revamped for 2019. Not only does it deliver a modern look and a composed ride, it also comes available with a rev-matching manual transmission. Check out some of the top new features worth noting about the 2019 Toyota Corolla. The Toyota New Global Architecture, or TNGA is a modular unibody design found under a lot of Toyota’s new cars and SUVS. With the ability to easily accommodate different size vehicles and front, rear, and all-wheel drive powertrains, this suspension platform delivers. On the 2019 Corolla, the TNGA is configured with front wheel drive, with struts under the nose of the vehicle, and the multi-link independent suspension that supports the tail. According to Toyota, the Toyota New Global Architecture (TNGA) will build better-than-ever vehicles on common platforms with common parts, making the manufacturing plants more flexible and responsible to the marketplace, and leading to overall cost savings that can be reinvested into future technologies at Toyota. The first TNGA-inspired vehicle assembled in North America was the 2018 Camry at Toyota Motor Manufacturing in Kentucky. Toyota’s first North American manufacturing plant built with TNGA capabilities started production in 2019 at Toyota Motor Manufacturing de Guanajuato. By 2020, approximately half of all new Toyota vehicles worldwide will benefit from TNGA. 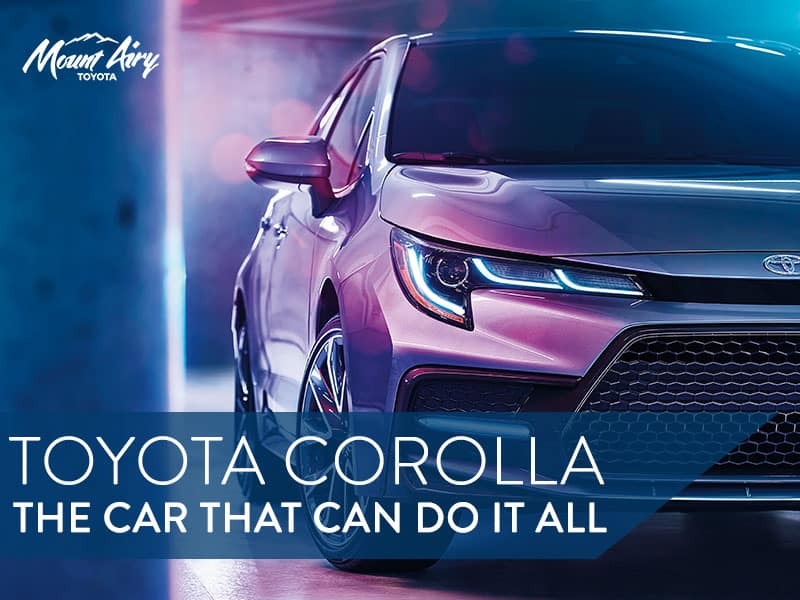 With the 2019 Corolla, the TNGA makes the convention powertrain of the Corolla more powerful, fuel efficient, and reduces the overall weight of the vehicle from the adoption of materials like high strength steel and aluminum. The CVTs, or continuously variable transmissions, are paired with the new suspension system to really deliver a thrill of a ride. This means that the CVT has the advantage of being more fuel efficient, and making you feel more connected to drive. So if you are at an intersection and the light turns green, as your foot moves from the brake to the gas pedal, the fixed first gear will engage. This gives the engine a more direct connection to the front-drive wheels, making the pedal feel more responsive while improving acceleration and drivetrain durability. From modern LED headlights, a sleek grille, and 16-inch steel wheels, the distinctive design of the Corolla is ready to go in any situation. While there are so many great sedans on the market, the 2019 Toyota Yaris is a highly competitive choice. Why not choose a driving experience that always delivers joy? The handling of this Yaris sedan is extremely responsive and fun, and truly delivers on its drivability. Whether you are cruising through the city, travelling on the highway, or taking a joy ride, the 1.5-liter engine with a 6-speed automatic transmission happily provides efficient performance with tons of pep. You will be getting an incredible 40-MPG on the highway and 32 MPT in the city. The MacPherson strut front suspension and torsion beam rear suspension offers a smooth ride, and agile handling for an exciting ride. When you are ready for a sportier trip, the Yaris lets you opt in to the 6-speed automatic Sport Mode with just the flip of a switch. Technology is more important than ever, and we expect seamless, integrated, and accessible features in our vehicles. The 2019 Toyota Yaris comes standard with a 7-in. touch-screen multimedia system. You can interact directly with the screen, use the control knob between the front seats, or speak to the system which features voice recognition and Bluetooth. The LE and XLE trims come standard with the Smart Key System, allowing you to lock and unlock your doors just by touching the handle, alongside the Push Button Start to engage the ignition just with the key fob close-by in your pocket or bag. One of the coolest features on the 2019 Yaris is the rain-sensing windshield wiper blades. These come standard on the Yaris XLE; the windshield wipers automatically adjust to match the intensity of the rain and speed of the car. Automatic LED headlights not only shine brighter, but also use less energy. You will be able to let the Yaris do the thinking, meaning turning the headlights to auto will save you the time of remembering to turn off and on your headlights. When it comes to safety, the 2019 Yaris comes standard with the Low-Speed Pre-Collision System, which scans the road for potential collisions, and if it detects a potential frontal collision, the vehicle provides an audio/visual alert and braking assistance is automatically activated. Mirai: In Japanese, the word “mirai” means “future.” The Toyota Mirai is definitely the future of eco-friendly, efficient vehicles. The interior of the vehicle is functional, practical, and comfortable. The speedometer and driving displays are further up on the dash, keeping your eyes on the critical vehicle functions instead. The Mirai also seats four. Refueling the Mirai only takes 5 minutes! What is even more incredible is that the range of one tank is around 300 miles. Right now, fuel is completely included for the first three years of ownership. This car is quiet, subdued, and provides a nicely tuned suspension for responsive steering. While perhaps not for the power enthusiast, the Mirai can keep up with the other cars on the highway. It can reach 60 MPH in 9.4 seconds and 80 MPH in a quarter-mile, and stop from 70 MPH in 194 feet. This is also impressive considering that it delivers 152 horsepower and weights less than two tons. Currently, the Mirai is only sold or leased in California, where they have the infrastructure for hydrogen fueling. In 2018, there were only 35 public hydrogen-fueling stations in the United States, all of which were located in California. California announced their plan to boost this number by 50% by the end of 2019. So while you cannot get this vehicle in Mount Airy, it is still exciting to see the future of eco-friendly vehicles getting better and better each year in the U.S.
After 23 years of development and 5,680 patents, Toyota has invested a great deal into the Mirai and the future of fuel cell vehicles. The Toyota Mirai comes with an eight-year powertrain or 100,000 mile warranty. This also explains the price tag of such an innovative vehicle, starting with a base price of $58,325. The Toyota Supra is back. The revival of this 1980s and early 1990s classic, two decades after it was discontinued, was unveiled at the 2019 Detroit auto show. It will feature the classic long-hood, sleek, low-riding, two-door design, and short-deck proportion. Younger generations might be excited if they are fans of the Fast and Furious franchise, where the car was featured and gained a new reputation among the millennial audience. This powerhouse is being co-developed with BMW and will share its architecture with the upcoming Z4. This means the 3.0-liter turbocharged engine is shared with the Z4. It will boast a 3-liter, 6-cylinder engine with 335 horsepower, 365-lb-ft of torque, and an 8-speed automatic transmission. This means going from 0-60 miles per hour in an estimated 4.1 seconds, and a top speed of 155 with a curb weight of 3397 pounds. And this new model will, of course, come decked out with LED headlights, a 6.5” infotainment screen, forward-collision warning, automatic rain-sensing windshield wipers, and a sports mode. The Supra will be available in three trim levels: 3.0, 3.0 Premium, and the Launch Edition, which will only be made available in 1,500 units. The base price for this vehicle is $45,000; the 3.0 starts at $50,920, and the Launch Edition will start at $55,520. The higher trims up the infotainment screen to 8.8-inches, heated seats, and a 12-speaker JBL audio system. The Launch edition will include 19-inch wheels, and a red leather interior. The Supra plans to enter the market in mid-2019. Recently, Toyota announced its plan to invest an additional $3 billion in U.S. manufacturing plants, bolstering its North American production presence. Toyota vehicles have always been some of America’s favorite cars, and knowing that you are supporting the American economy both nationwide from manufacturing and locally from supporting local dealerships, while reaping the benefits of Japanese design, makes buying Toyota all the better. In fact, did you know that Americans buy more Toyotas than in Japan? Toyota’s reach is pretty incredible! Whether you are interested in checking out one of the vehicles we talked about, are eager to chat with like-minded enthusiasts about the upcoming release of the Supra, or are searching for new 2019 Toyota cars, trucks, and SUVS for sale in the Mount Airy area, then look no further! 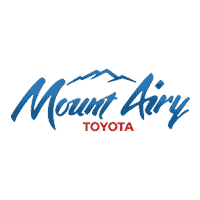 Mount Airy Toyota offers a large selection of new Toyota models in Mount Airy. Our New Vehicle Inventory features all of the latest Toyota models, and allows you to browse our inventory online to see what we have in stock.